Use TB96KAB to reference this item. Looking for a little better luck on your geocaching adventures? Hoping to find an ammo can of gold at the end of the rainbow? 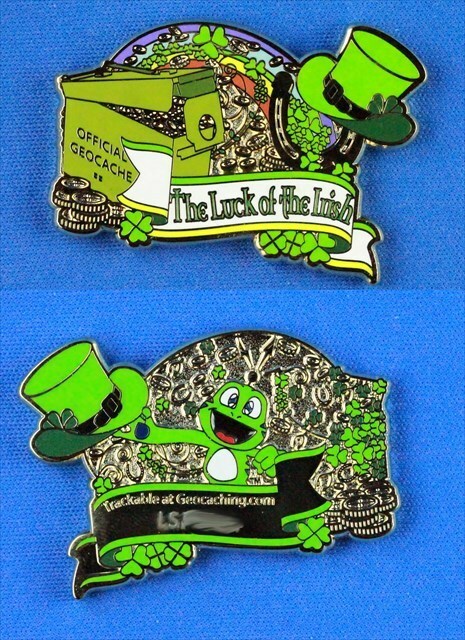 Maybe all you need is an Irish frog on a geocoin! or just keep it with you to let those Irish eyes smile upon your search for finds! In den Händen von Sam Marlowe gesehen und discovered.